Oral lichen planus (OLP) is a common T cell-mediated chronic inflammatory disease with malignant potential and unclear etiology. The present study suggests that antigen-specific mechanisms in which dentritic cells, T lymphocytes and NF-κB signaling pathway play critical roles, are involved in the pathogenesis of OLP. Additionally, it has been indicated that altered expression of cyclooxygenase 2 (COX-2) and imbalanced oxidant-antioxidant status as well as psychological issue may act as promoters to the development of OLP. Therapies for OLP are primarily aimed to control symptoms and a specific cure is not yet available. Black pepper and its principle bioactive compound piperine have been reported to possess remarkable pharmacological activities. 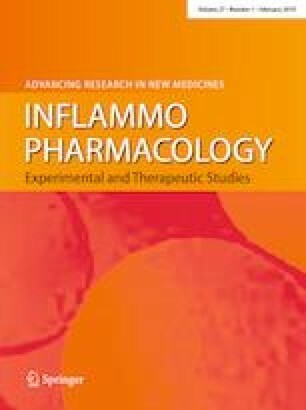 Not only has piperine been evidenced to exhibit repressive effects on the maturation of dentritic cells, the proliferation, activation and function of T lymphocytes as well as the NF-κB signaling pathway, but also to suppress the overproduction of COX-2 and weaken the oxidative stress. Furthermore, piperine might be a possible agent for alleviating psychological disorders and preventing carcinogenesis. Given all these into consideration, piperine may be a novel and effective therapeutic strategy for OLP. This work was supported by grants from the National Natural Science Foundation of China (nos. 81771080, 81371147) to Gang Zhou. All authors declare no conflict of interest regarding the publication of this paper.